Both seem pretty interesting. 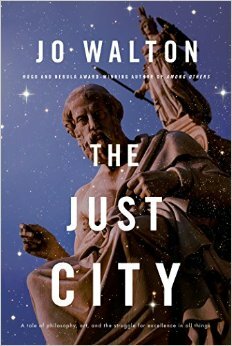 I like the cover of the Jo Walton one. I shall report on either or both. If I finish them (I hope I do). Lol, I’ll keep an eye on your blog for em! I liked A Darkling Sea. Actual alien aliens are cool. Yes. My favorite aliens are from Vinge’s A Deepness in the Sky. Because spiders are cool. I have the same problem with reading multiple books. I always tell myself I’m going to break that habit. Lies, all lies. I can usually juggle multiple books pretty well. I think the problem is that this week has not been friendly to reading. If only someone paid me to sit and read. At least I can console myself with the fact that I can’t possibly overtake my TBR pile. I am a sucker for cool non-humanoid aliens. I just read Walton’s Tooth and Claw and loved it! I saw her not too long ago when she came to the Portland OR area to promote her new book, but she did mention how much she loved writing The Just City. I look forward to your review. I love deities too. Had fun recently with Sprague de Camp and Pratt’s “The Roaring Trumpet” from The Compleat Complete Enchanter, which played with Norse Mythology. Tooth and Claw was what got me into Jo Walton’s books. I figured if she could combine Trollope and dragons, she could do anything. 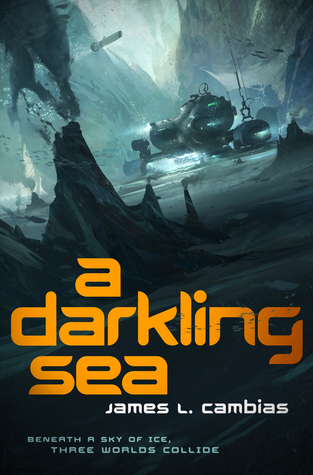 Looks like I’d better read Darkling Sea. It seems like people were talking about it awhile back, but I can’t remember any details. I just finished it, will post a review in the next couple of days. I really liked it.